Granted that in Japan the national tree is sakura (Prunus serrulata, cherry blossom), the fundamental garden tree is kuro-matsu (Pinus thunbergii, Japanese black pine) and the official fruiting tree is kaki (Diospyros kaki), one could securely state that the most planted tree is sugi (Cryptomeria japonica, Japanese red-cedar). Regardless of the latitude, Cryptomeria japonica is among the ever-present elements of the Japanese landscape, just like the rice paddies or vending machines. The reason for its fortune lies in the extensive use for the nation’s forestry plantation, making 40% of the forests. (This means that, as 70% of the country is forested, more than one quarter of the Japanese terrain has sugi growing on it). Its timber is esteemed for the strong resistance and fragrance, and second only to Chamaecyparis obtusa. Taking that an obsessive monoculture is rarely a cheerful (and farseeing) affair, to plead Cryptomeria’s cause we should remember that this monotypic genus is endemic to the archipelago, where it exhibits distinct and geographically-influenced varieties. Observed from a distance, Cryptomeria resembles Sequoiadendron giganteum, displaying a dense oval crown and slender inner branchlets spreading horizontally. Upon a closer observation, Cryptomeria distinguishes itself by having a harder bark and smaller, scale-like needles. They both are however superlative trees and surely the sugi avenue in Nikkō competes and perhaps overcomes in grandeur the redwood avenue at Benmore Botanic Garden. Uncommonly for a conifer, Cryptomeria shows the ability to sprout new growth from old wood. Such character is much praised by the Japanese, known for their fondness of severe corrective pruning (or “butchering”, as Reginald Farrer had said once). Putting aside the discrepancies of opinion, the temperament of sugi has led to a unique coppicing style, known as daisugi, which is one of the horticultural specialities of Japan. There are several millenarian Cryptomeria trees in Japan: the great sugi of Kayano, Sugi no Osugi at Ōtoyo and Hōkisugi at Nakagawa are all national monuments that date back well before Christ. However, since in Japan Christianity is more a backdrop for a more exotic wedding than a spiritual understanding, we should take as touchstone the native Shintō religion, which traces back to the Jōmon period of the Japanese prehistory. 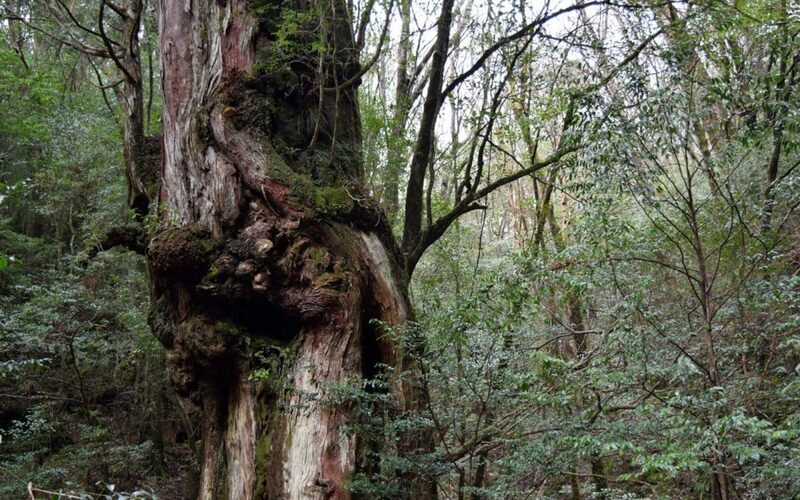 As one would expect, a Jōmon sugi is also registered and inhabits the southern isle of Yakushima, were stands of primeval sugi forests survive. Last March, I decided to go and pay my tribute to the sacred giants. The ferry approached the oceanic isle at twilight. The sun was descending in a turquoise silence, whitened by waves crashing the coastline and brumes streaming out from the mountain ridges. There was an air of something supernatural to it. From my touristic leaflet I understood that the island Yakushima encompasses 200 square miles scarce, just smaller than the Isle of Man. 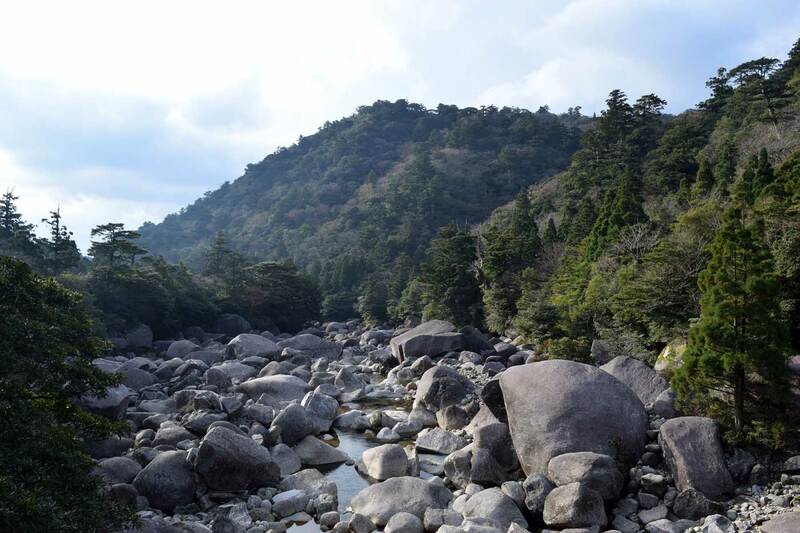 Unlike the Celtic isle though, Yakushima is severely mountainous displaying peaks to 1,900 m of elevation that earned the isle its nickname the “Alps of the Ocean”. The isle is also deluged by the highest rainfall in Japan (up to 10,000 mm per annum). Such distinct topography permits a staggering variety of habitats and climates. Ascending from the sea level, there are humid subtropical coasts and mangroves, savannahs along the estuaries, warm temperate evergreen forests, cool coniferous forests and subalpine grasslands and scrubs. The flora adapts consequently. 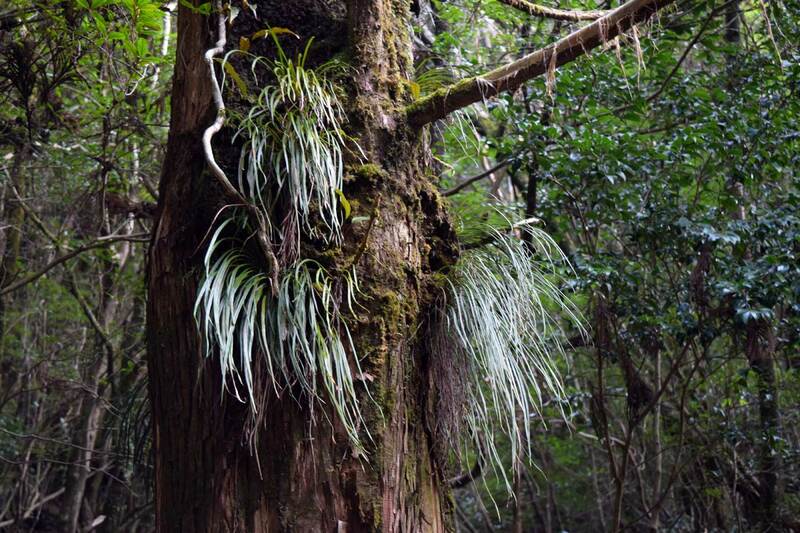 Within a few miles one can step into attractive propagules of Kandelia candel, adventitious roots of Ficus microcarpa, translucent minute fronds of several different filmy ferns, epiphytic orchids, hardy prostrate forms of Pieris and Rhododendron on the windswept summits and much more. Virtually all the plants of the Japanese archipelago could be grown on this small island. Some of the endemic actors have displayed ornamental virtues and contributed significantly to our gardens. Lagerstroemia fauriei, a white-flowering crape myrtle introduced by John Creech in 1961, gave birth to a new lineage in its group, remarkably resistant to powdery mildew; the hardy azaleas found on the summits (Rhododendron degronianum var. 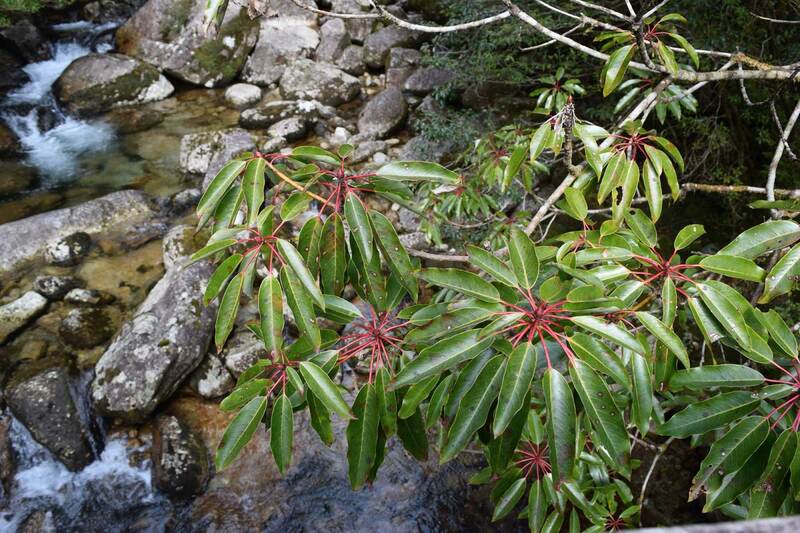 yakushimanum for most literature, but unresolved taxon according to The Plant List) became the “top of the line” in rhodo’s breeding in USA and Britain in the 70’s and last year the selection ‘Koichiro Wada’ was voted world’s best rhododendron by the RHS Rhodo-Group. To make a long story short, over 1,200 plant species (not including the bryophytes) luxuriate in this unique treasure trove of flora. As I approached its coastline, Yakushima appeared to me floating mysteriously in the vast ocean’s waters like a botanical Noah’s ark. At 4:20 in the morning the alarm sang and everything was still embraced by the darkness. After two buses and an excess of coffee cans from vending machines (I hope my mum in Italy won’t read this), at 6:30 I was at the Arakawa trailhead, 600 m a.s.l. A dim daylight finally started revealing the surroundings. The crisp air glanced on the silver seedhead of Hydrangea petioralis rambling in the half-shade. 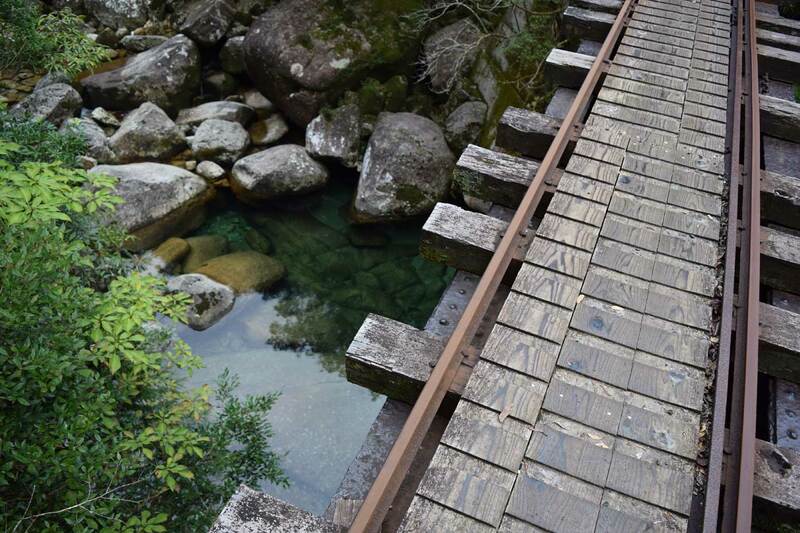 The trail consisted of an old logging railroad, devoted to naturalistic pilgrimages after the cessation of deforestation in 1954. While penetrating those natural realms, I had the impression I was now on the set where King Kong was filmed. Fortunately for me though, there were only small macaque monkeys stalking me from the shrubbery. They added to the feeling of a tropical forest (as well as contributing to propagate the vegetation, by storing fruits and seeds in their distinctive check pouches). The atmosphere was dyed in a veil of various shades of green. Only a few plants could variegate the dominant colour at this time of the year. My memory goes to the purplish red petioles of Daphniphyllum macropodum, the superbly beautiful cinnamon-brown barks of Stewartia monodelpha, the yellow-eyed red inflorescences of Camellia japonica (resisting the winter months as the fallen flowers keep in one piece, as sometimes seen in the Theaceae), and the scattered white trunks of some skeletal Cryptomeria, whose barks were stripped away by the harsh elements. Thus, the opportunity was given to focus on the green spectrum: chartreuse were the mosses springing back to life after dormancy; viridian the deep understory of ferns and the omnipresent Smilax bracteata; jade the new growths of Eriobotrya japonica and Litsea japonica; flickering emerald hues illuminated the evergreen Lauraceae (Neolitsea, Persea and Cinnamomum species). 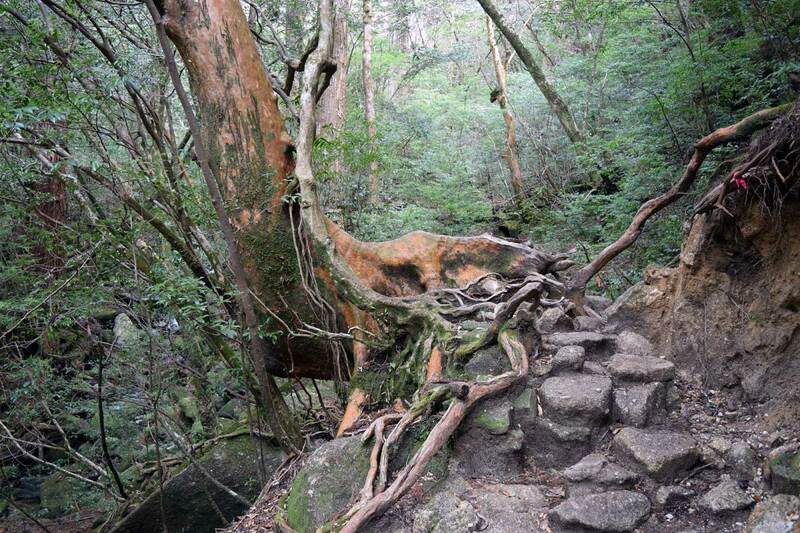 At around 800 m, the old railway sleepers laying the trail suddenly arrested as the path turned into a stairway of boulders and gnarled, coalesced roots. 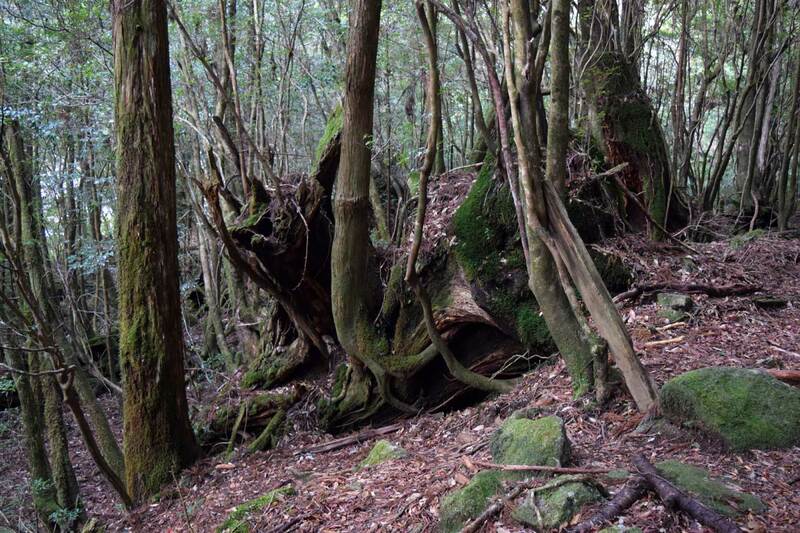 Such was hiking through the virginal Yakusugi forest. My gait became more cautious as the boundaries that separate the domain of humans from that of the gods were overstepped. Around me it stood now a cathedral of trees, majestic embodiments of the gods. Cryptomeria erected themselves above everything else like obelisks in veneration of chthonic deities. Colossal stumps sat like plinths upon which the monuments of that forgotten mythology once rested. Was it all real? Or had an arcane enchantment returned a sinful city into the green belongings of pristine nature? The rest of the dendrological population arched below the Cryptomeria in graceful veneration. Conifers of considerable proportion like Tsuga sieboldii, Abies firma, Chamaecyparis obtusa and Torreya nucifera were the humble valets in the realm of Cryptomeria. Exquisite angiosperms such as Distylium racemosum, Clethra barbinervis, Illicium anisatum, Styrax japonica and Euscaphis japonica appeared like tributaries from distant satrapies. Turning to an ecological reading, the vegetation had remarkably changed from the laurel-leaved forest to the primeval Cryptomeria forest. Most interestingly, the plant distribution was not only vertical in altitude but also chronological in terms of generational renewal. A bewildering array of woody species germinated and grew on the stump or trunks of trees felled long ago. They were cases of third-generation sugi growing on the top of their ancestors. While observing that endless chain of existence, the renewal of life from one generation to the other, I caressed an inner sense of peace and hope. I could feel the breath of the Hearth close again. I gained another 200 m where a scene revealed itself that was worthy of J.R.R. Tolkien’s imagination. In front of me and a bunch of other jaw-dropped trekkers was a Cryptomeria mammoth stump. This was the famous Wilson’s Stump, the remains of a huge specimen that was felled over 400 years ago to provide timber for a Buddhist temple in Kyoto. (It was estimated that the tree was about 164 ft tall: one can imagine the noise when they felt it). At the time of its discovery, the stump was covered in overgrowth. Wilson himself thought it was a cave until he ventured inside and discovered its true nature. I did the same. Inside the dendrological whale, a natural water spring flowed and the wood was still sound despite the old age and high humidity. Yakusugi stumps are known for their resistance to decay, caused by the packet growth rings and build-up of resin favoured by the cold fogbound environment. Ernest Wilson visited Yakushima in 1914 after his repetitive expeditions to China. He was so impressed by the magnitude of the island’s forest, he called it “a wonderful cryptogamic kingdom”, also adding that “not even on famed Mt. 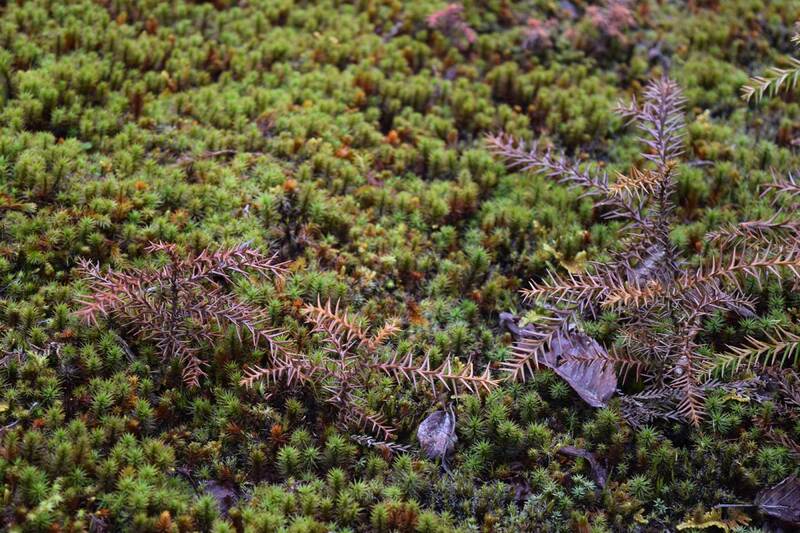 Omei, in western China, have I seen such a wealth of this vegetation”. Growing up in the “black cities” of Birmingham and London, he was aware before his time of ecological conservation matters. 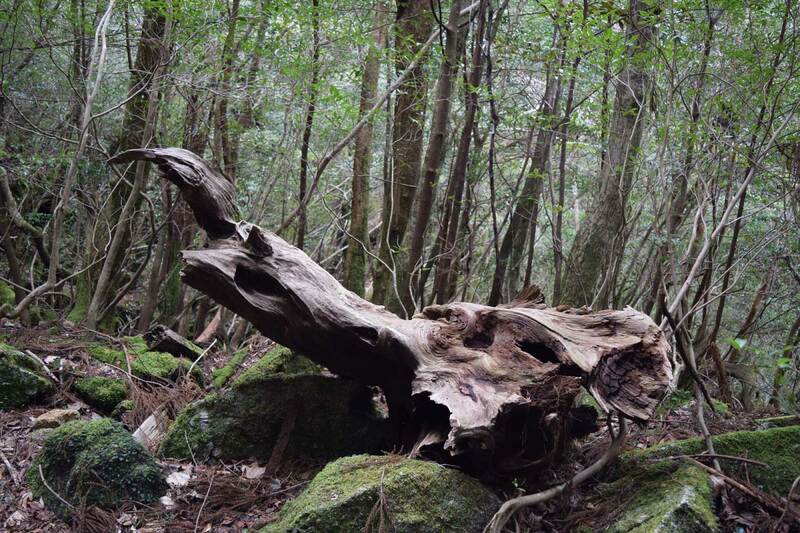 He considered Yakushima to be a pristine ecological model, but after his return to the West, expressed concerns about its state of investigation and preservation. His papers made the isle known to the world, starting a process of preservation and valorization which eventually led to the cessation of logging and the designation in 1954 of Yakusugi primeval forest as a Special Monument Area. Once I paid my tribute to the stump and its excavator, I proceed my ascension. 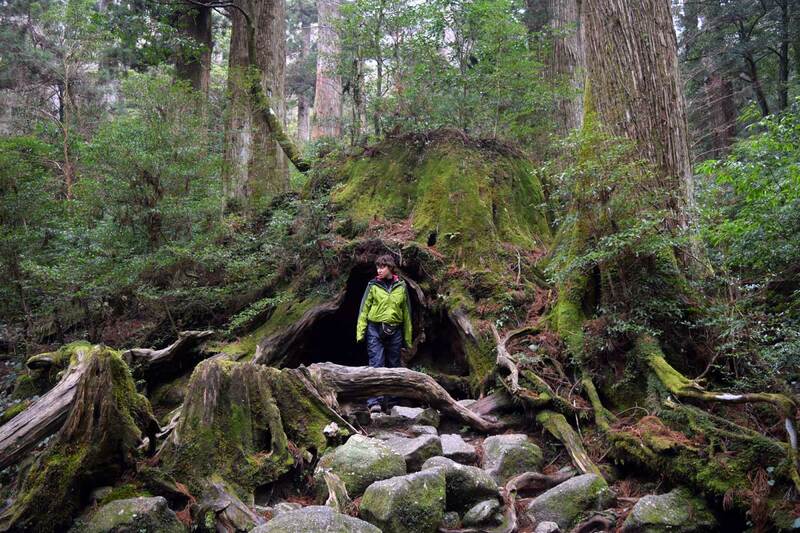 Finally at 1,300 m of elevation I arrived before the Jōmon sugi, the emperor of the forest. 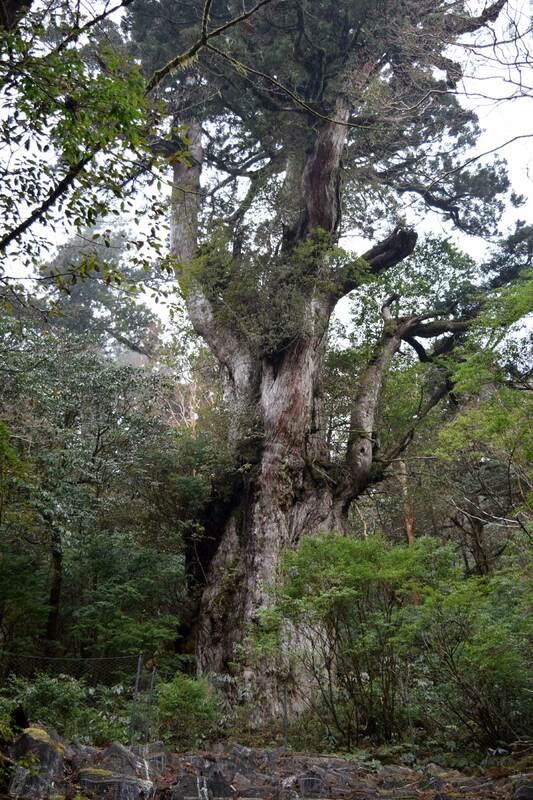 This is the largest Cryptomeria in Yakushima (height 25.3 m; diameter 5.22 m; trunk circumference 16.4 m), estimated to be 2600-7200 years old. The tree emerged harshly from the ground like an ancient golem of granite, sculptured by the chisel of centuries. 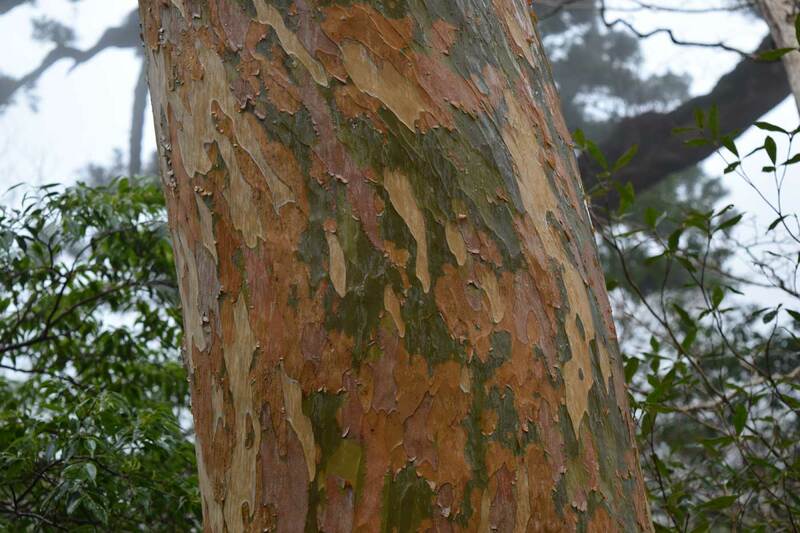 The access was restricted to an observation deck, built at a distance of 15 m from the tree. Considering the nature of the Japanese solicitude, I was inclined to think that the structure was intended to serve as a photo spot rather than an actual preservation system. I longingly aligned myself with the tourist dues and queues, and took my shots of the giant, encountering considerable difficulties in framing its entire volume. (My thoughts went to the Sanderson camera that Wilson bore with him, perhaps prohibitively antiquated but equipped with tilt-shift lens). A didactic panel taught me that 13 different woody species grow on the Jōmon sugi. It is a little forest on its own. 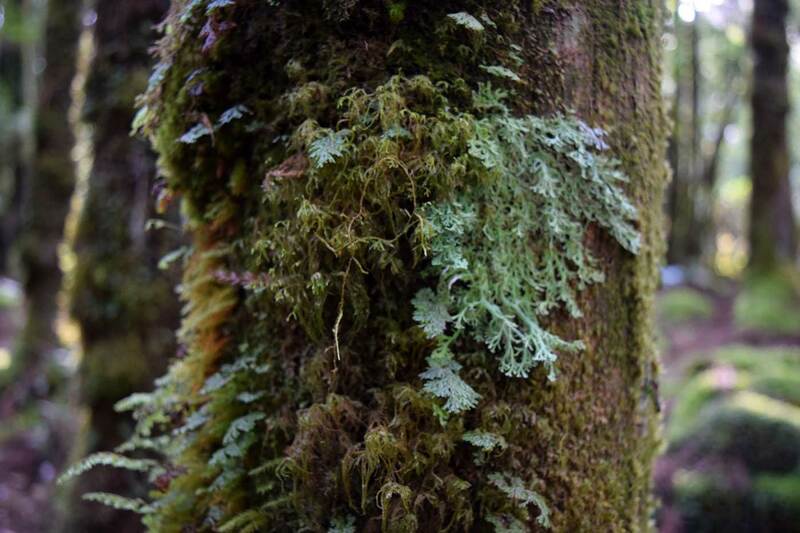 Among these epiphytes were various Rhododendron species, Sorbus commixta and saplings of Cryptomeria. A plant that showed a particular affection was Trochodendron aralioides. The botanically-intriguing wheel tree was noticed by Wilson too, who wrote that, in combination with Cryptomeria, they “have a curious predilection for one another. They grow upon the same old dead stump or trunk in close embrace to ripe old age with the Cryptomeria towering above its neighbor and shielding it from wind and storm”. Unfortunately the chance wasn’t given on that occasion to observe the peculiar ivy-like inflorescences of Trochodendron aralioides. Neither was the chance to touch the summits where hardy dwarf forms of Rhododendron, Pieris japonica, Buxus microphylla and Juniper chinensis var. sargentii thrive, blessed by vigorous sun and proximal clouds like the ornaments of Valhalla’s fields. So numerous and differentiated are the island’s interpreters that the floristic year is a multifarious festival whose final curtain never goes down. Sitting on the fragile brinks of the Ring of Fire in the Pacific, Yakushima is an invaluable microcosm that obliges for perpetual investigation and protection.